Every fantasy epic ends with a war. But what happens when the war is over? After posing as a man to join the army, Jenner Faulds returns home to The Feld for a new start as a Fairman-a specially licensed private investigator. But sexism didn't end on the battlefield, and as the only Fairlady, Jenner gets stuck with the cases nobody else wants. Hitting the streets to solve The Feld's overlooked mysteries, Jenner finds that the smallest cases hide the biggest secrets. 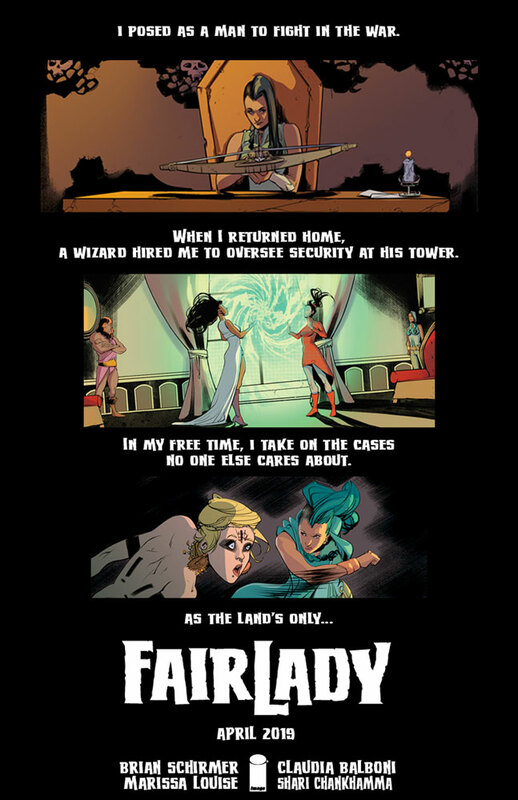 Writer Brian Schirmer, artist Claudia Balboni (Star Trek), and colorist Marissa Louise team up for Fairlady-an all-new series with the procedural case-solving of Magnum, P.I. 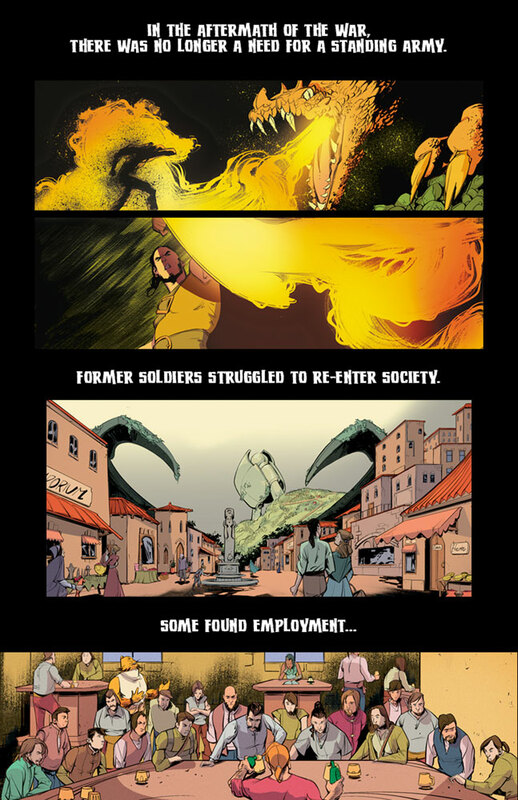 and Fables, but set in a vibrant, Rat Queens-like high fantasy world. 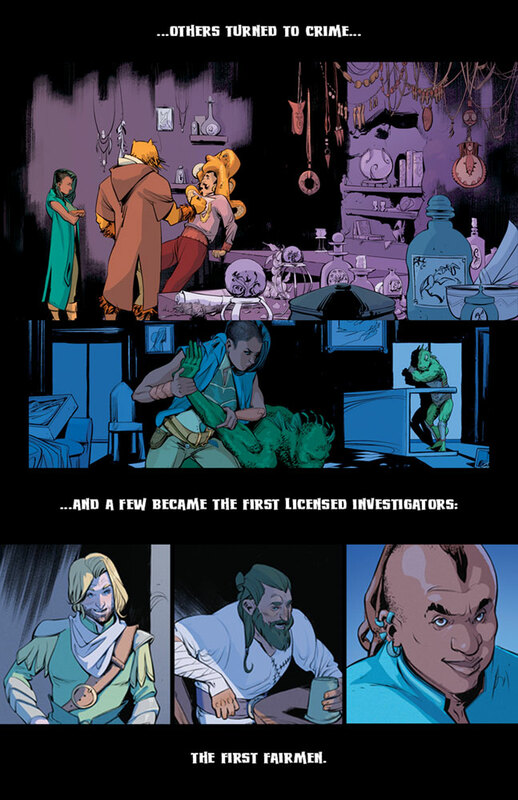 Plus, this-and every-issue contains a complete 30-page story!